The Village at Meridian just keeps growing. 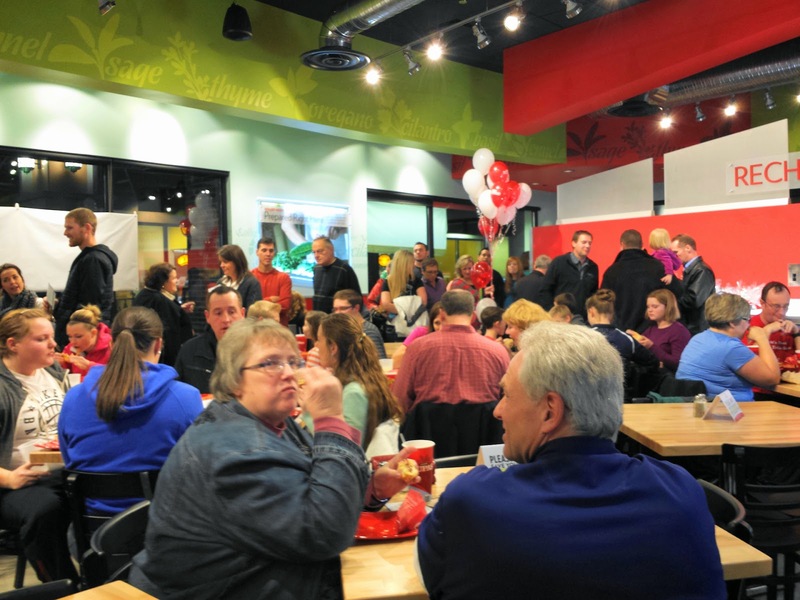 I was recently invited to a pre-opening event for Café Zupas, the newest eatery to take up residence. It's primarily a sandwich place, so initially it seemed a strange choice to stick it right next door to Which Wich, another sandwich chain that's been part of the Village for quite some time now. 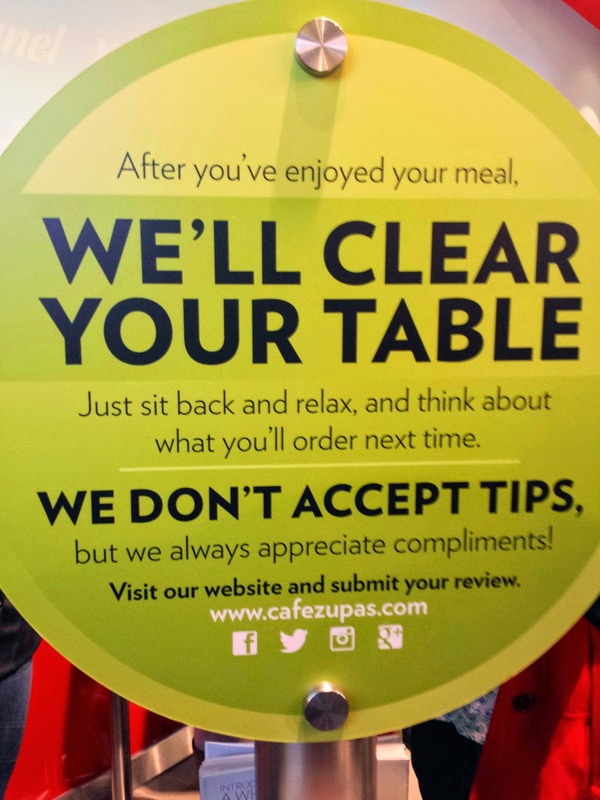 Luckily, what Café Zupas is doing is quite a bit different. 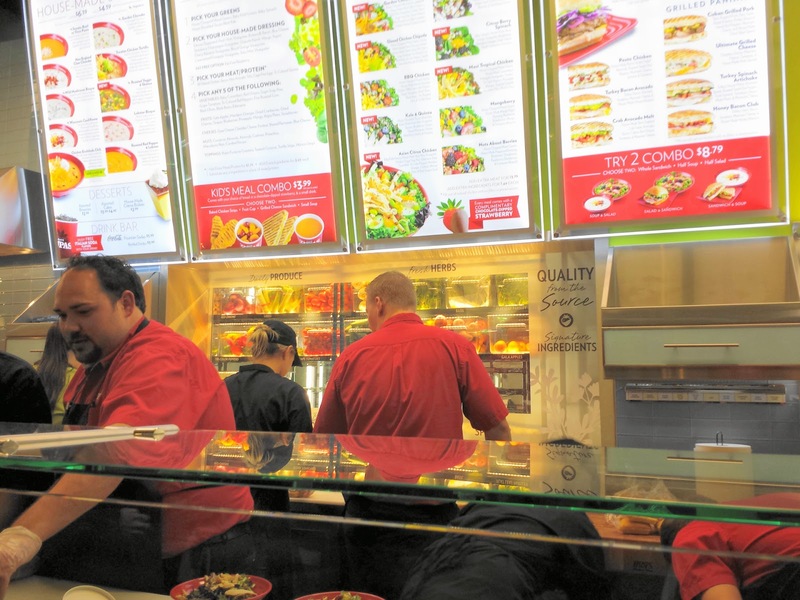 I guess I'd have to say they're both fast casual places, but while Which Wich is a bit more like Subway (except with decent-tasting food), Café Zupas is a little closer to Panera Bread, albeit maybe a little faster and casualer. 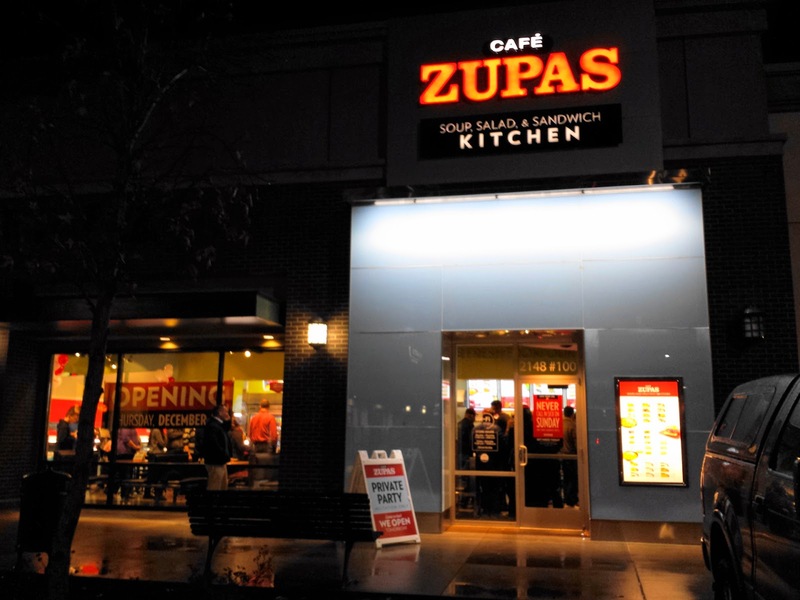 Café Zupas has a deceptively straightforward menu: sandwiches, salads and soups. Thirteen sandwiches, twelve salads (with eleven house-made dressings to choose from), and ten house-made soups, not counting specials. They also take the desserts beyond the usual cookies and crispy rice squares you see so often at sandwich joints. ...where you obviously choose a sandwich and/or salad (everything is available separately or as part of a combo). From there it's on to soups, which they will happily give you samples of. I was torn between a couple but never made it past the first sample because, once I tasted it, I knew I had to have it. I liked it so much that I broke out of the combo so I could have a full serving of it, rather than the half order that you get when you order it with a sandwich. Finally, you come face to face with a glass case of assorted brownies, cakes and crème brûlées. 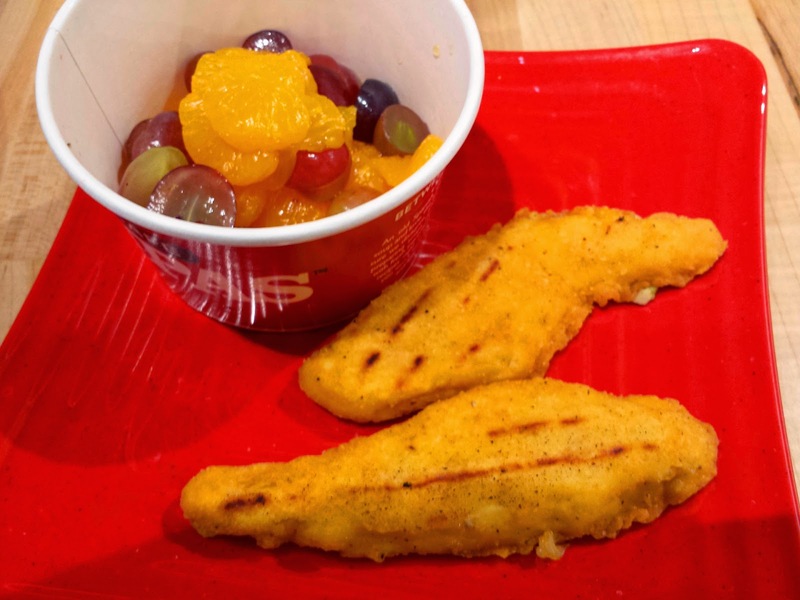 My ex-roommate's youngest daughter (my dining companion for the evening) chose from the four pick-two kid's meal options the Baked Chicken Strips and the Fruit Cup, tacking on a Mixed Berry Crème Brûlée for dessert. After much agonizing, I finally settled on the Pesto Chicken grilled panini sandwich to accompany my aforementioned soup, Roasted Red Pepper & Lobster. And because I couldn't let the kid get away with a dessert unless I got one as well, I added a Rocky Road Brownie. This isn't to say that everything is perfect. The quality is great, and it did take my little dining companion a second to reconcile a baked version of something that is almost always fried, but she ended up really liking it. So much so that she was disappointed that she ran out of it so soon. The kid's meals are surprisingly cheap, but the portions are also pretty small. She was still pretty peckish when she finished her meal, which would have been a problem if not for the dessert she had coming. Admittedly, she has a heartier appetite than your average seven year-old, but in this case that wasn't the sole problem. 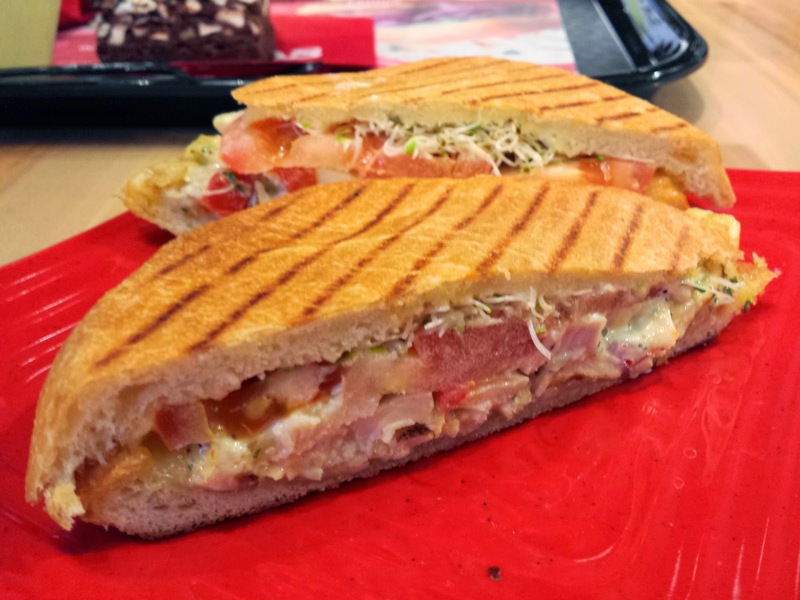 My sandwich, essentially a pesto chicken salad sandwich with almonds, sweet red peppers, sprouts, tomatoes, and muenster cheese (featured in a LOT of the menu selections) didn't particularly grab me. It wasn't a quality issue, but it was more of a wet chicken salad than a creamy one, which caused it to fall apart as I was eating. It also lacked the flavor punch I enjoy so much about pesto, only a hint of which was present amongst the other components. I'm excited to go back and try something else, but I wouldn't order this sandwich again. The soup, on the other hand, I would order again in a heartbeat. Not too rich, not too sweet, not fishy at all and with a nice amount of heat that built as I kept eating it. 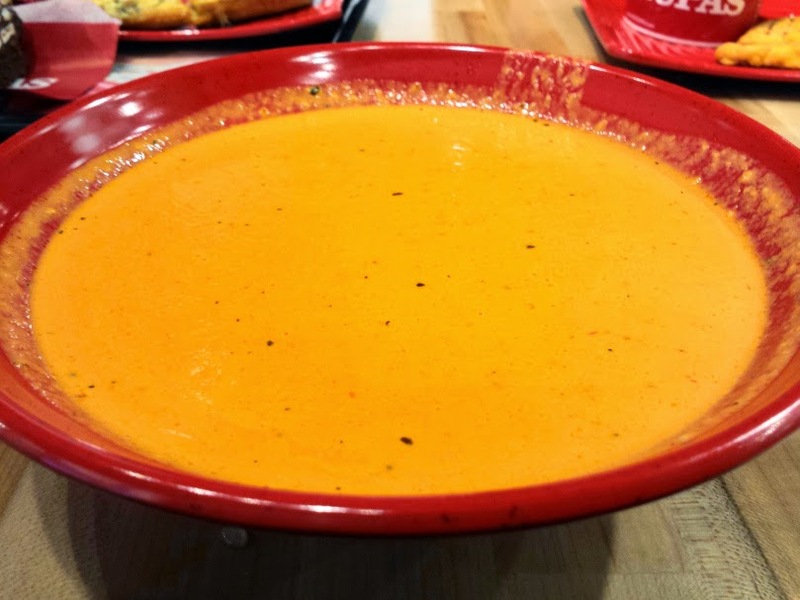 It made me wish I had followed my first instinct and ordered the Ultimate Grilled Cheese (cheddar, muenster, tomatoes, and pesto spread) so I could have dipped it in this soup. I'm ordering the Chicken Enchilada Chili next time, though. Crème Brûlée isn't my thing, which is good because I would have been scared to get between it and the kid eating it. My brownie was one of the better ones I've gotten at a restaurant, but then again I prefer fudgy brownies over cakey ones. This one was nice and chewy, with roasted walnuts, marshmallows, and drizzled with chocolate and caramel. 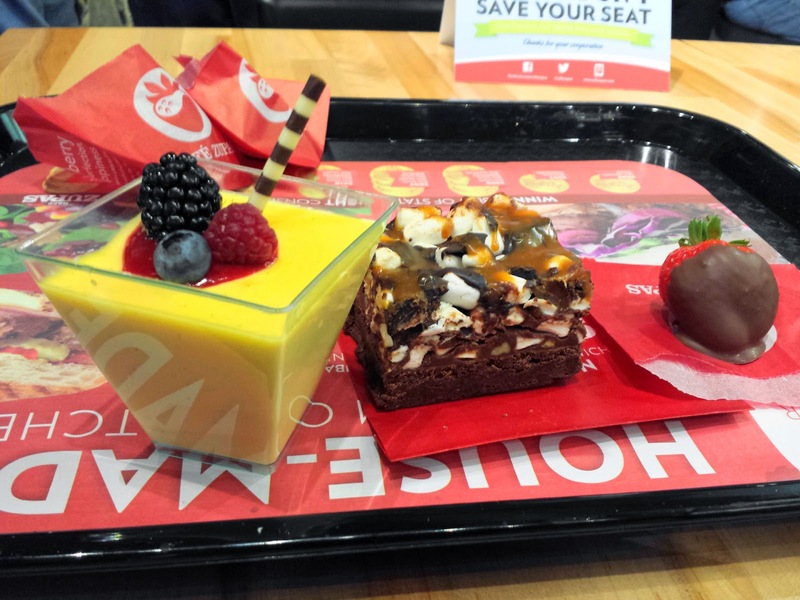 The Belgian Chocolate-covered strawberries, which Café Zupas includes with all meals (well, kids have to choose between a hunk of bread and a strawberry) had to wait until later. All in all it was a very positive experience, and I can't wait to go back and try some other things now that they're officially open. 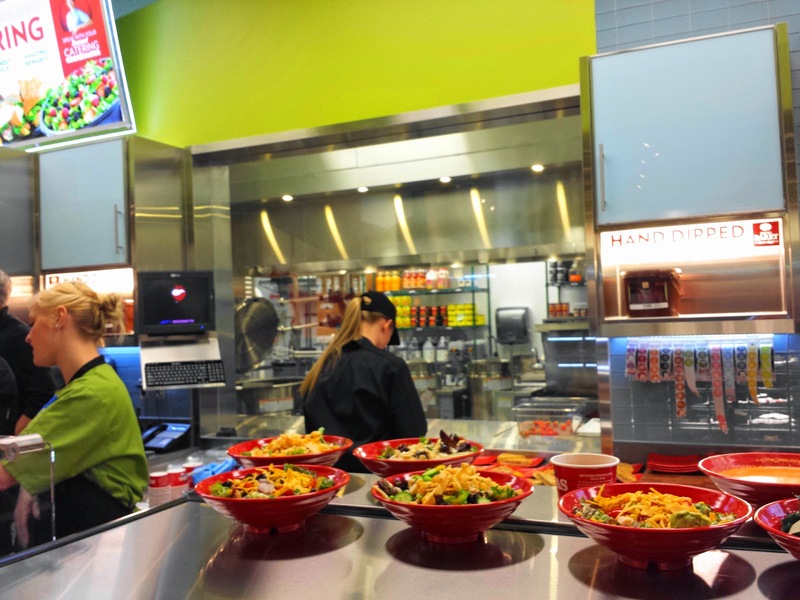 And hey, more affordable comfort food options are always welcome at the Village, right?